How good would it feel to be able to break free of the pattern of Yo-Yo dieting forever? lose pounds on countless occasions but end up putting it, and more, back on? rebel against following stringent dieting rules? overeat due to stress, depression, boredom or fatigue? constantly crave or binge on fat- and calorie-laden food? A must if you want to heal the underlying psychological, spiritual and physiological causes of weight gain, and desire a simple and realistic method for permanently shedding excess weight. 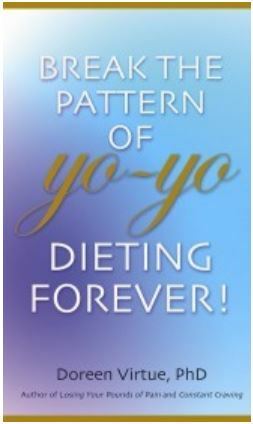 Dr Doreen Virtue's ground-breaking research into the psychological basis and treatment of the yo-yo diet syndrome stirred up controversy and elicited accolades when it was first published in the 1980s. In this newly updated version, Dr Virtue gives you a wealth of practical information that will show you how to permanently heal your appetite and weight problems, from the inside.